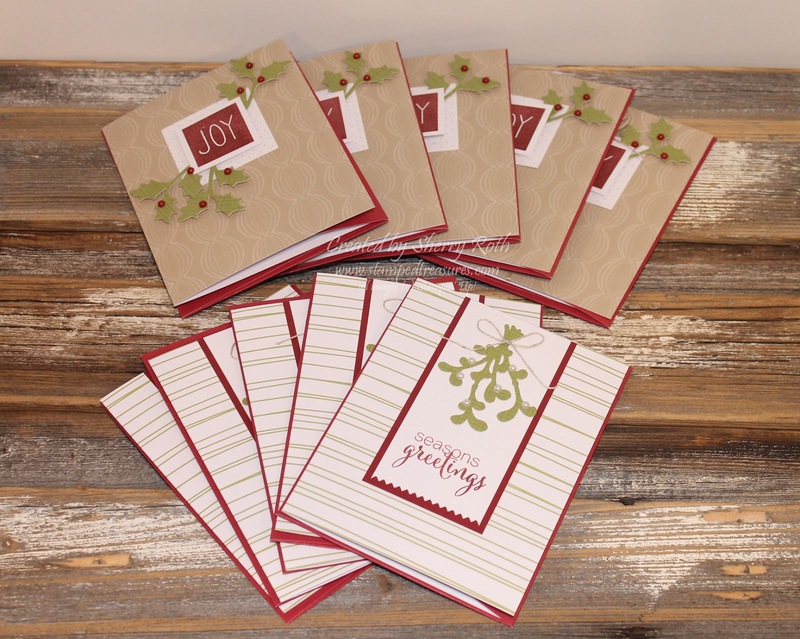 Sherry"s Stamped Treasures: Are you a Paper Pumpkin Subscriber? Are you a Paper Pumpkin Subscriber? I know I've said it before but Paper Pumpkin has come to my rescue so often that it's worth repeating:) I love it! 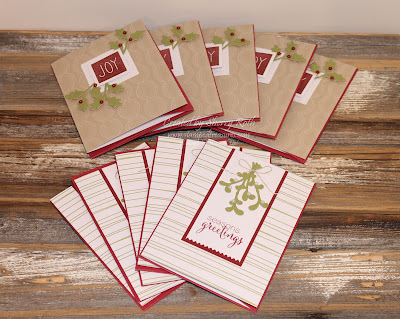 Novembers box was Christmas themed and I hadn't quite finished my Christmas cards for the season so I whipped these up during a class I had a couple weeks ago. Ten cards done in about 30 minutes. No designing or cutting necessary - and that's what I LOVE about Paper Pumpkin! Become a Paper Pumpkin subscriber today!